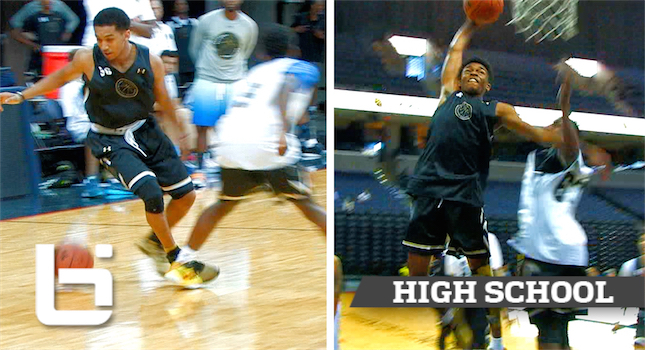 “Backcourt Killers” Tremont Waters & Jaylen Hands On The Same Squad! What happens when you put two of the Nations Top Ranked PG’s on the same team? Well at the NBA Top100 Camp we found out. Currently the 5’10 Tremont Waters is getting looks from Colleges such as Duke and UCONN. He strength comes from his balanced game. Getting his teammates involved, being able to finish at the rim, and knocking down perimeter shots. His backcourt teammate was Compton Magics own and UCLA Commit Jaylen Hands. Together they wrecked the competition at the NBA Top100 Camp.